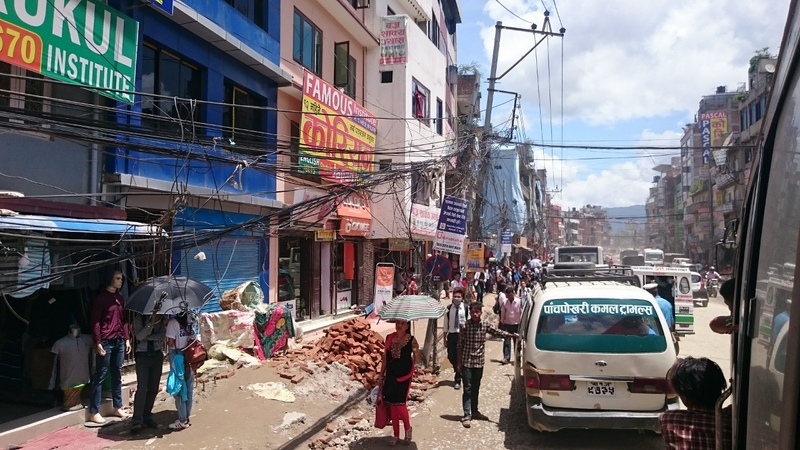 The typical state of power lines in Kathmandu. First impressions, and scheduling the first activity. Thursday, August 3rd, was my first day at Shree Mangal Dvip Boarding School (SMD). After a good night’s sleep following 36 hours of travel, I was met at my guest-house by Tashi Choeden Lama, a recent graduate of Class 10 at SMD. As we walked to the school, Tashi explained that he has been independently learning and experimenting with electronics since a young age. Now that he is a senior student working as a director’s-assistant at SMD, he has been planning to organize electronics activities with the students. I had hoped to find someone like Tashi at the SMD, so things are off to a great start! I look forward to supporting him and working together to develop programming and electronics activities for the school. We will first try running 1 hour weekly activities during free-time on Saturdays, beginning this weekend. Sign-up sheets will be posted around the school, inviting students from Grade 4 to Grade 9 to participate (Grade 10 students are discouraged from attending activities, so they can focus on their exams). We intend to split the students into groups of ~10, combining Grades 4 to 6 and Grades 7 to 9, with a 1 hour time slot dedicated to each. In our first activity, we will introduce some important applications electricity in Nepalese communities, explain what electricity is, and illustrate the concept by having the students build and modify a simple LED light circuit.